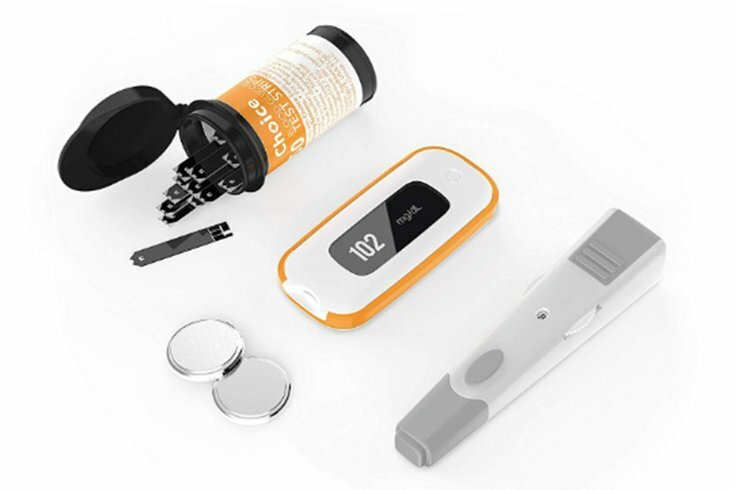 Amazon is now selling a line of home health care products under the Choice brand, including wireless blood glucose monitors and related accessories. Amazon makes the lives of many people a lot easier. Whether it’s ordering two-hour delivery of your groceries from Whole Foods to free two-day delivery for laundry detergent via Amazon Prime, it inarguably provides a certain level of convenience. Now, Amazon is delving into a new area — home health care products — as a result of new collaboration, CNBC reports. The online retailing giant has teamed up with Arcadia Group, a health brand consultancy, to begin offering a “new brand of consumer-focused medical devices” under the Choice brand. Essentially, the products are things you might pick up at your local drug store, like blood pressure cuffs and glucose monitors — the finger-pricking, blood sugar-testing devices — as well as the necessary accessories for these products like test strips and batteries. Apparently, though the collaboration was initiated by Arcadia, it is part of Amazon’s recent push to sell more exclusive brands on their website as well as its increasing interest in health and wellness products and services, CNBC reports. According to Amazon's release, most products will feature supporting mobile apps, offering measurement tracking, data mobility and reminders, as well as some Bluetooth connectivity options. The Centers for Disease Control and Prevention reports that as of 2017, 100 million Americans are diagnosed with diabetes or pre-diabetes – 30.3 million Americans, or nearly 1 in 10, with diabetes; 84.1 million adults, about 1 in 3, with prediabetes. That's a huge market for at-home test kits. Complications with diabetes and hypertension can make mobility – even getting to the local pharmacy – difficult. That’s where the ease and convenience of Amazon’s new offerings come in handy. It’s worth noting, however, that "Choice is exclusive to Amazon but is not an Amazon private-label brand," an Amazon spokesperson told CNBC, explaining that the brand owner is in charge of the design and production. Choice products are available for purchase on Amazon here.